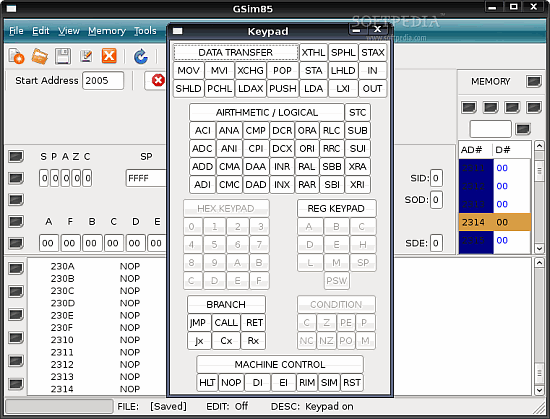 GSim85 is an 8085 simulator. It is having very user friendly graphical user interface. GSim85 can be used to test 8085 programs before actually implementing them on target board. It can be used to test 8085 programs before actualy implementing them on target board. For Win32 version you must have latest GTK+ runtime installed on your system. Find l.